'An artist born' is the phrase that introduces the painter Joanna Carrington (1931-2003) in this fully illustrated overview of her life. 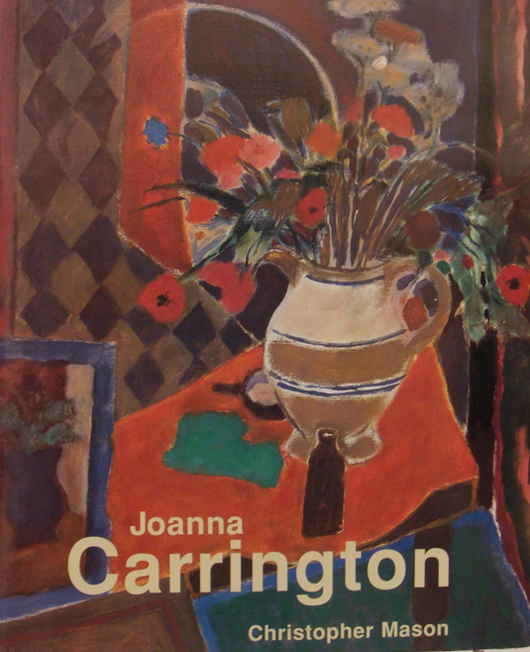 Joanna was the daughter of Noel Carrington, who created Puffin books, and the niece of the famous Bloomsbury artist Dora Carrington. At just seventeen years old Joanna was described by Cedric Morris as 'really exceptional and a born painter. I have never had a student who showed so much promise'. Joanna wrote and illustrated hundreds of letters, which, together with photographs of the artist and witty caricatures of her friends, provided the author, her husband Christopher Mason, with material for this memoir. The chief glory of this beautiful book, however, is in the sixty colour illustrations of Joanna Carrington's paintings: the still lifes, interiors and landscapes, sharing with the reader an overview of her life's work.